On January 24, this year, India launched the world’s lightest satellite ever to be put into orbit. Weighing only 1.26kg, the Kalamsat-V2 weighs less than a wooden chair and was designed and built by a team of students led by 19-year-old Rifath Sharook and 21-year-old Mohammed Abdul Kashif. 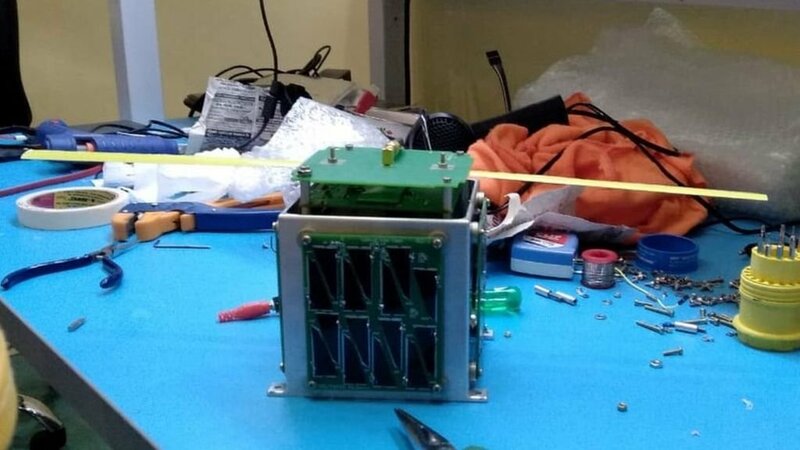 Named after former president the late APJ Abdul Kalam, the Kalamsat-V2 will be used as a communications satellite for ham radio transmission – a form of wireless communication used by amateurs for non-commercial activities. The team made it in just six days, and at a fraction of the cost it usually takes to build a satellite. Both Rifath and Kashif are part of a 6-members team at Space Kidz India (SKI), a space education firm based in Chennai formed to bring scientifically-inclined youth together and provide them with a platform to follow their passion in science. Rifath, who hails from Pallapatti, a village in Karur, Tamil Nadu, was the first and youngest member to join the group. He was 18 when he was inducted into Space Kidz. Kashif and other SKI members – Tanishq Dwivedi (flight engineer, 21), Vinay Bharadwaj (structural engineer, 21), Yagna Sai (lead technologist, 21), and Gobinath (biologist, 22) joined later. The team says that the idea for Kalamsat came about after a competition was launched by NASA. Named ‘Cubes in Space’, the competition called upon students from across the world to design projects that would fit in a 4-cm cube. Recounting the incident that triggered the idea, SKI member Tanishq says that one day when the the entire team was busy eating gulab jamuns, Rifath and Kashif instead kept staring at it, and wondered ‘why can’t we make a satellite this size and launch it into space?’ Kalamsat, playfully nicknamed ‘gulab jamun’, was thus born, and won the first prize from 86,000 other entries. 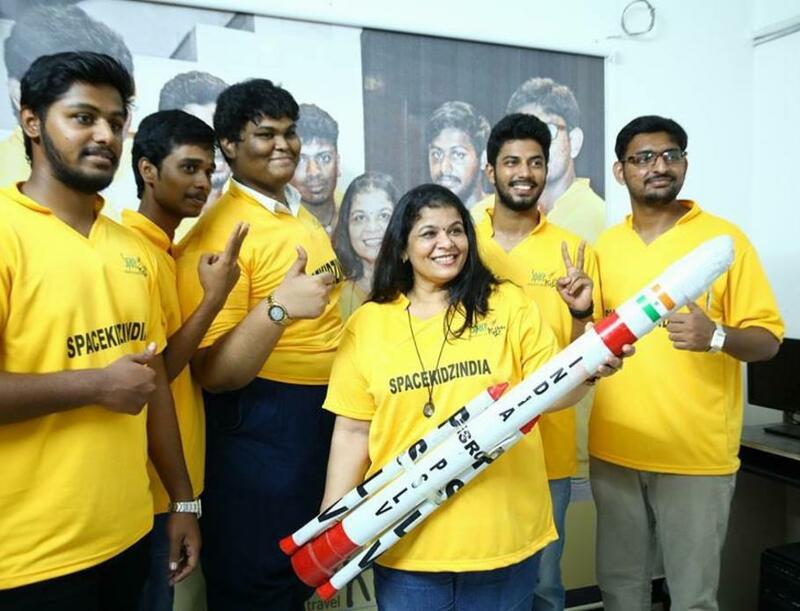 Mentored by SKI founder Srimathy Kesan, the team built a 64-gram earlier version of the Kalamsat which was launched by NASA in 2017, but sadly it never reached orbit. With Kalamsat, the team has succeded in reducing the cost of satellite production, which is usually Rs. 2-10 crore. “We made a satellite for Rs. 4-5 lakh. This will give university students and smaller countries access to space so that they can practically engage in research,” Rifath was quoted by Forbes India as saying. “That is also the reason why SKI has kept its technology open source, without patenting it. “We want it to motivate students of the future generations,” adds Rifath. Rifath, who is currently pursuing his undergraduate degree in physics says his late father, who was an astronaut and scientist, is his inspiration. He wants to create a private space company in India along the lines of SpaceX. Kashif, who will soon be completing his engineering, wants to pursue higher studies. The duo say their dream is to make India the hub for aerospace.